[Urgent] iPhone Lost! How To Get Back WeChat images? 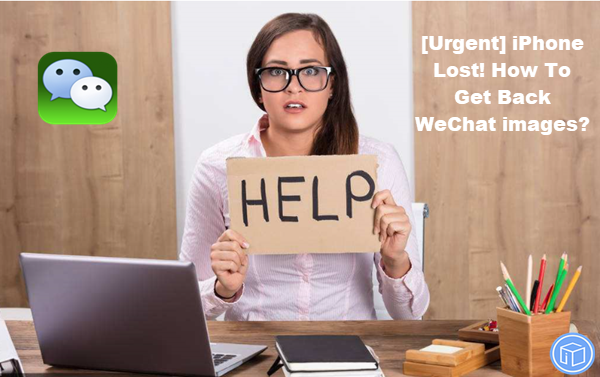 Best and easiest WeChat data recovery software to recover lost or deleted WeChat contacts, WeChat messages and WeChat attachments from smart phone. What are you supposed to do if your iPhone is lost or stolen? 1.Turn on Lost Mode and erase your device If Find My iPhone is enabled on your missing device. 2.Change your Apple ID password and other internet accounts on your device. 3.Report your lost or stolen device to local law enforcement. 4.Report your lost or stolen device to your wireless carrier. How to get back WeChat images if iPhone lost? There are lots of iOS data recovery tools available in the market for iPhone, iPad or iPod touch. But choosing the right and trustworthy tool is very essential, and iFonebox is the most professional one. It has the ability to recover as many 17 kinds of data losswithin minutes. 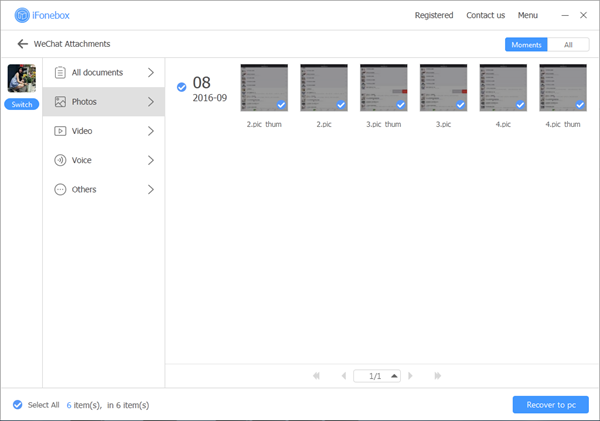 You could also extract and retrieve lost data from iTunes and iCloud backup. By using this software you will be stress-free for the rest of your lifetime from any kind of data loss situations. Why choose iFonebox to retrieve WeChat images if iPhone lost? Obviously, both iTunes and iCloud provide impressive ways to help us recover missing data by restoring the whole backup to device, which would erase all current data you have. With iFonebox, you can regain WeChat photos from backup selectively if iPhone lost. Furthermore, you’re allowed to preview the detailed data in backup. Sounds unbelievable, isn’t it? Besides, iFonebox works exceptionally well on almost all iOS devices, there is no need to worry too much if your device is compatible with our program. There are two versions accessible for your computer: Mac version and Windows version, please install it first before we get started. Turn on the iFonebox after completing the download, then just click the Recover from iCloud Backup at the upper-right corner of the interface. 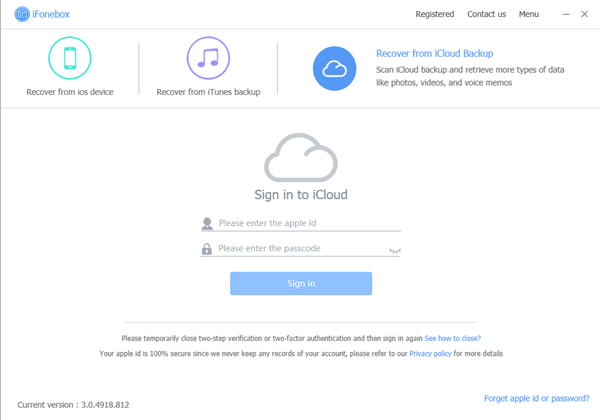 You’ll be asked to sign in with your Apple ID account and password correctly. Step 2: Download data from iCloud backup. After you have selected one iCloud backup to download, iFonebox will start the downloading process. Also, you can select only WeChat Attachments to download to save more time. Click on WeChat Attachments item to start scanning automatically. You’ll be required to wait patiently while the circle is rotating continually and quickly. 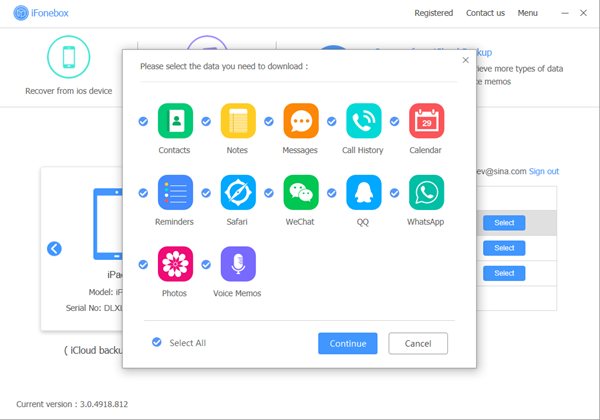 It’s time to get your WeChat photos back, all you need is select the information you want and click the Recover to PC, then the task is accomplished. 8 Tips For Battery Issue After iPhone Update To iOS 12 Beta 12? 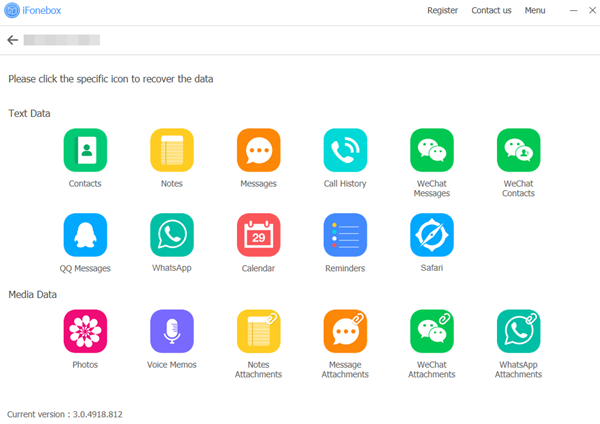 How To Backup iPhone WeChat Contacts Without Using iCloud? How To Retrieve WeChat Messages On iPhone If No Backup?